By 2011, in the map of Catalonia the city of Igualada was pictured as a grey area where apparently not much seemed to happen in terms of economic activity. Two decades of subsequent textile industry relocation and deep economic downturn had impacted the city and its influence area of the Anoia county. The once flourishing industrial sectors of knitting and leather tannery had declined and unemployment levels had reached 23%. 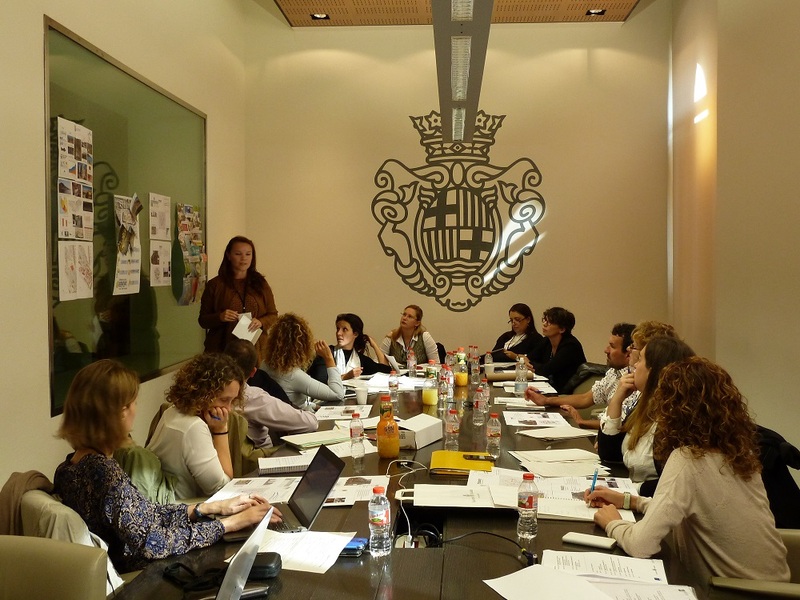 The same year, when Angels Chacón, RetaiLink Project Coordinator, became Igualada’s Councillor for Economic Development, she stated that it was time to turn around the situation in the city. The new political team took office in 2011 and included a set of priorities in its political programme related to local economic revitalization. They dedicated efforts and resources to combat the negative trend by means of upgrading local economic sectors as well as creating new pools of development. They focused on a number of working strands: Health Innovation through the 4D Health Simulation Centre; giving prestige to the leather industry producing for luxury brands; and reinvigorating the retail sector to make it attractive for the local residents and for visitors. The previous experience with the URBACT II 4D Cities project on Health Innovation had been successful in terms of mobilising local stakeholders towards an ambitious and pioneering project. In her second term as Councillor, starting May 2015, Ms. Chacón decided to re-join URBACT with a new proposal, this time tackling retail revitalisation and therefore addressing one of the main economic challenges of the city and an important pillar of the local strategy for growth. The policy challenge that the RetaiLink project is going to address aims at adapting the local strategy to the emerging consumption trends and the new scenario defined by changing and innovative retail drivers such as e-commerce and the new retail business models. The project will foster the revitalisation of the retail sector in the partner medium-sized cities so it becomes a key local economic driver through the development of innovative retail strategies and broader related policy actions. 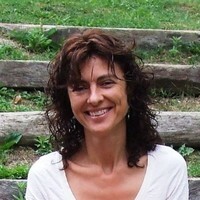 For Igualada, the RetaiLink project coordinator expects to agree upon an action programme tackling aspects that have not been addressed yet or that have become a source of discrepancies among local retail stakeholders (i.e trade associations, the Retail Bureau and other private initiatives). When asked about the tangible impact, Ms. Chacón mentioned that she wishes for the city a retail model that differs and competes with the rest of the shopping offer in neighbouring cities and at the same time integrates different local districts, including but not only the town centre ‘to obtain a coherent and complementary offer that meets both residents and the visitors’ needs and expectations.’ The wish for the network partners is that they benefit from Igualada’s experience but also from the exchange activities and external expertise so they achieve a local retail strategy in their cities that fulfils their own context and policy challenges. Almost 70 cities have expressed their interests to be part of the RetaiLink network ‘This evidencesindicates the relevance of the challenges that the rapidly changing retail sector is posing to European medium-sized cities’ says Ms. Chacón. However, because reactivating the retail sector links with many tangential areas, the Lead Partner has placed special emphasis to create a coherent partnership with cities whose objectives are closely aligned with the RetaiLink goal. Besides the eligibility conditions set by URBACT, some specific criteria were developed for partner selection. These included partners’ previous experience in the retail sector as well as in European projects; shared common challenges with the RetaiLink area of work; and level of involvement of a meaningful group of local stakeholders, including decision makers. Finally the capacity to engage in such an intensive learning and planning process and a good leadership was also considered. Because RetaiLink is about middle-sized cities, population was a key screening aspect. Middle-sized cities are considered to be key actors in territorial development. However, they are affected by larger neighbours and metropolitan areas that offer a varied retail offer together with leisure and cultural attractiveness. Project partners will have between 40.000 and 100.000 inhabitants approximately to fit in the network typology. 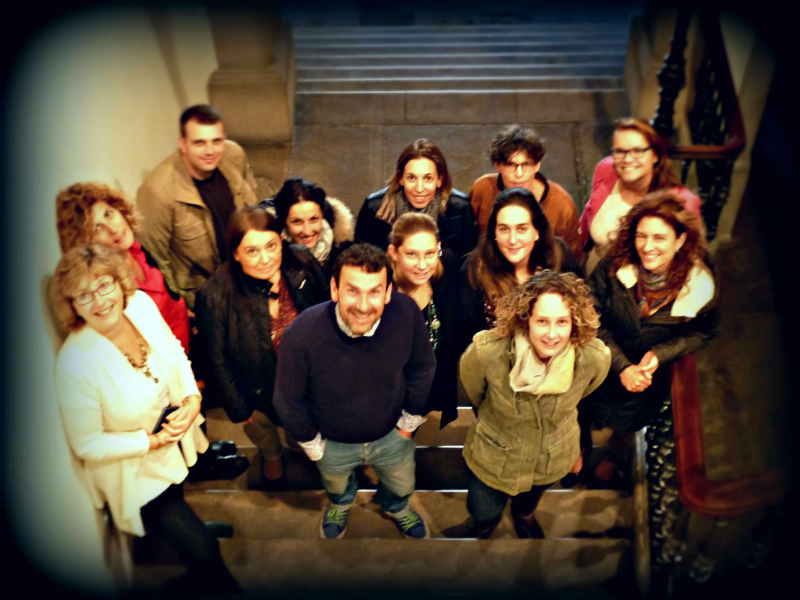 The team in Igualada, with the help of the lead expert were proactive in the search of partner cities. Sources they searched were previous URBACT networks and other European Programmes, i.e. INTERREG that had tackled topics directly or indirectly connected to retail. Barcelona regional office in Brussels helped exploring and contacting cities with a fitting profile; URBACT experts and National Dissemination Points were extremely useful to get in touch with cities from eastern less developed regions i.e. Poland or Hungary, where Igualada did not have any previous knowledge nor contacts. Finally, attending the city festival in Riga provided the opportunity to personally meet cities’ representatives to discuss their interest. At the time of writing, the initial partnership of 6 cities is composed by Igualada (Spain), Basingstoke and Deane (UK), Bistrita (Romania), Sibenik (Croacia), Fermo (Italy) and Hengelo (The Netherlands) and the Lead Partner expects to set a network of about 10 members. Declarations of interest have come from both developed and less developed regions but in both cases, cities from southern Europe are a significant number, particularly Italy and Greece. To determine fulfilment of criteria, a basic questionnaire is sent to applicants that comply with the initial population requirement.